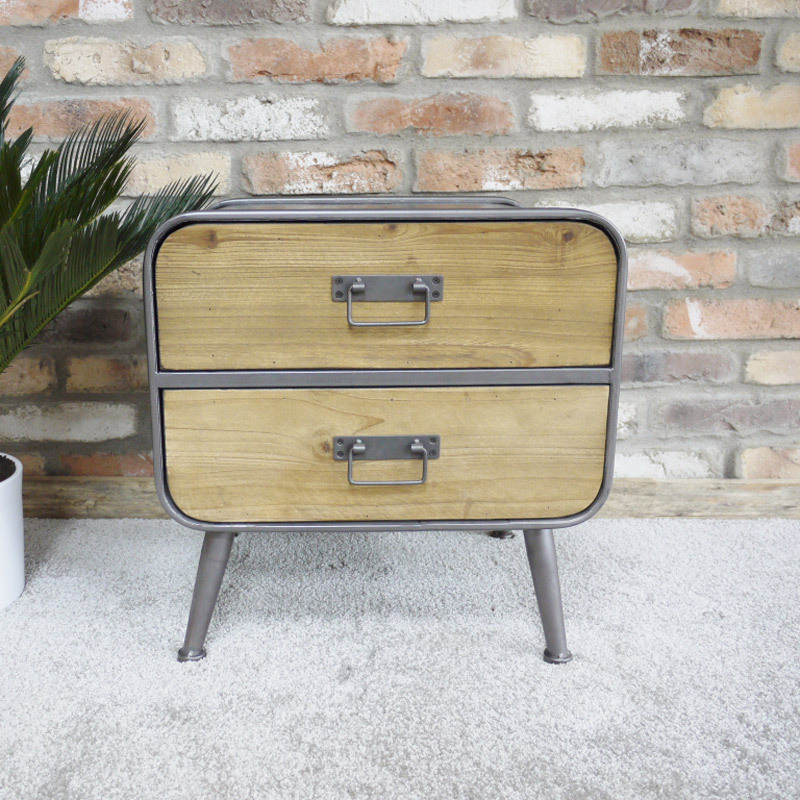 Stylish industrial, retro style bedside table with metal drop handles. Perfect for the retro themed bedroom with that rustic, industrial twist. A great look for the modern, contemporary or urban, loft living style home decor. The Retro Range also comes with matching furniture for the bedroom, living room and hallway. The chest comes with 2 drawer storage and will look fantastic placed at the side of the bed. 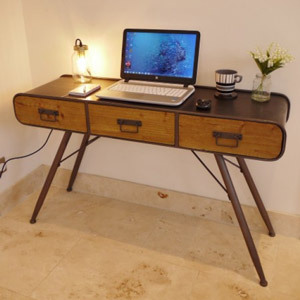 Stylish industrial, retro style bedside table with metal drop handles. Perfect for the retro themed bedroom with that rustic, industrial twist. A great look for the modern, contemporary or urban, loft living style home decor. The Retro Range also comes with matching furniture for the bedroom, living room and hallway. The chest comes with 2 drawer storage and will look fantastic placed at the side of the bed.